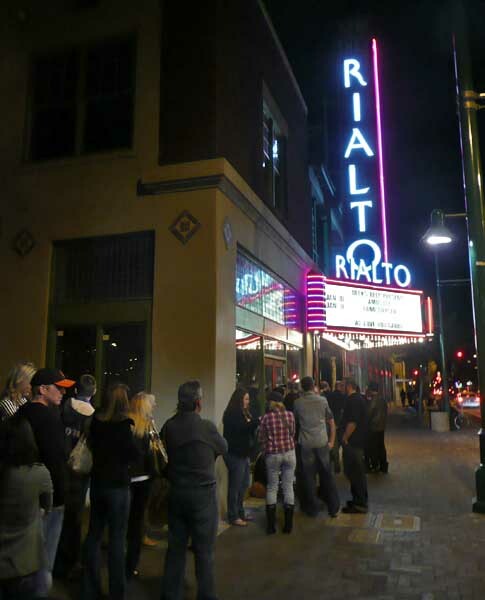 The crowd lining up at the Rialto Theater in downtown Tucson. 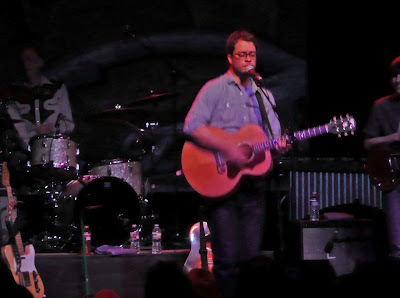 Amos Lee surrounded by the band. Vusi Mahlesela (in the light colored shirt) with Amos Lee on his right side, singing together. Jim and I had an afternoon and evening on the town last Sunday. We don't go to concerts often, so this was something I'd been looking forward to. In order to make the trip into Tucson multipurpose, we decided to stop by Tohono Chul Park to see a couple of art exhibits. Of particular interest was the Family Ties exhibit, which runs through April 3. It was interesting to see the way in which the relationships between husband and wife, father and son, etc. influenced each person's work. A number of the artists in the show live in Oracle. From there, to the Tucson Museum of Art, where we planned to see the Lewis and Clark exhibit. It helps to check the calendar. The show was gone and most of the museum was closed for new installations. Since we're members, we went in anyway and spent a little time roaming around. Sure is a lot of neat stuff in the gift shop. Way too many temptations. Hunger struck, and we proceeded to El Charro, the oldest continuously family run Mexican food establishment in the country. The food is really good and the atmosphere is great. Always a treat. We decided to cruise by the Rialto Theater to check out the scene before going to get a bit of dessert. Lo and behold, there was already a line at 6:30 (show scheduled to open at 8 pm). So we cashed in the idea of dessert (probably not a bad thing anyway), found parking, got our tickets and got in line. Fun people watching. I dare say we were among, if not, the oldest people in line. The doors opened at 7 pm and in we went. As I said, we don't go to concerts very often. Things change. I have no idea if this is standard or not, but the theater was set up with a handful of chairs in the back and lots of open (standing room) space in the front. Since we'd toughed out the wait, we got seats. Not that most people seemed to want to sit. Lots of toing and frowing of the audience, moving about, jockeying for position, all in a most friendly way. 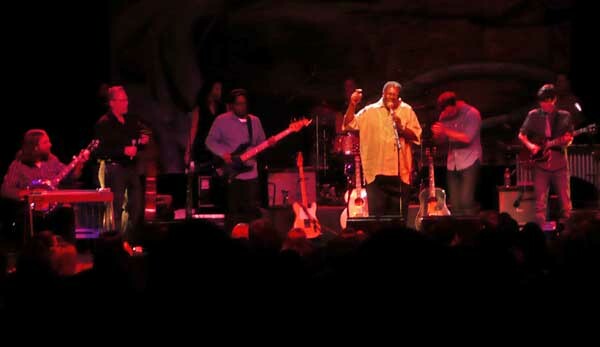 At last the concert started with the opening act, a man from Africa, Vusi Mahlesela, with a great voice and interesting things to say about his part in the political scene in South Africa. 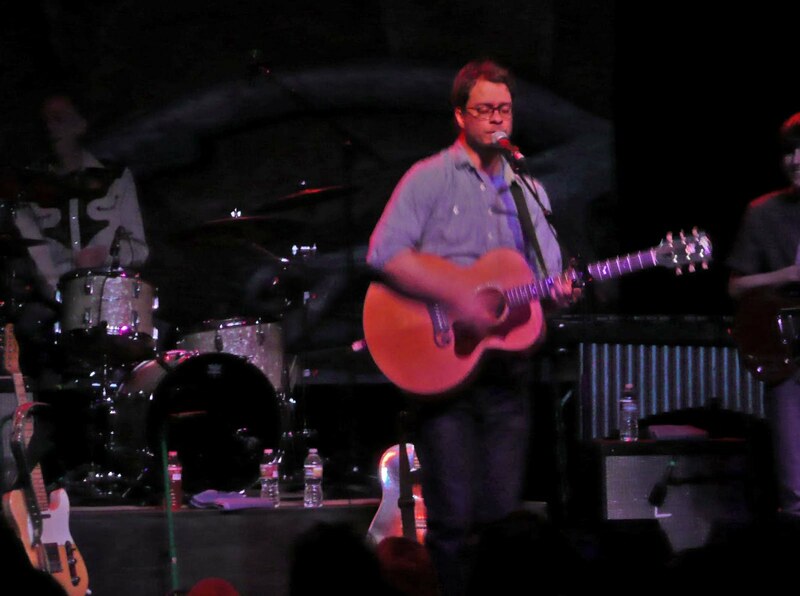 Then Amos Lee came on stage. I was enthralled. We really do miss out when we don't see live performances. It's good to be reminded of this. Kind of like looking at art on the internet versus looking in person. So much is lost in the translation. Anyway, it was a wonderful experience. I felt like I was transported to another place. Of course, I couldn't leave without buying his latest album. I proceeded to give myself a concert of all four of his albums yesterday while painting in my studio. I'm sure my work was brilliant as a result. So you see, Tucson is a great place to live near. A short drive from sleepy Oracle gets us to a vibrant city with plenty of interesting cultural opportunities. All located on US Route 89!